2. Our customer service is available to you before, during and after the sale. 3. You will get high quality products with reasonable price. 4. We have a strong professional design team and perfect product lines. 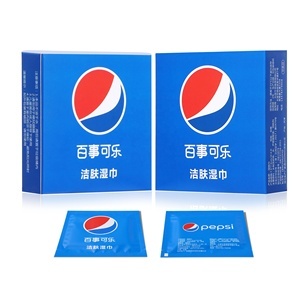 It is one private enterprises who is specialized in production and selling wet wipes, Paper Tissue , paper cup series paper products . 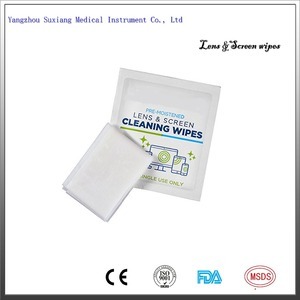 Type of baby wet wipes, women wet wipes, car wet wipes,household wet wipes, restaurant wet wipes,screen cleaning wipes,and so on. Perennial exports to the United States, Japan,Europe and other countries and regions, excellent quality, reasonable price , Daily production capacity of about 35 million. W: As customer's order 8.Certificate: SGS MSDS 9.Advantages: 1 ultra smooth 2 Biodegradable 3 alcohol 4 PH balanced 5 Reasonable price, excellent quality 10.Applications: Very extensively use in glasses ,lens,mirror,etc. 2. Successfully serviced clients from more than 50 countries globally! 4. Professional designs and free quotation are waiting for you! 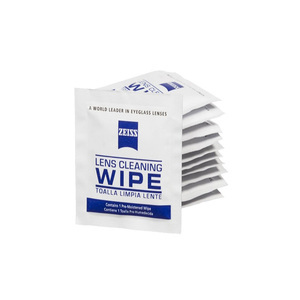 Product Picture These pre-moistened wipes are specialized for optical lens cleaning. Our specially crafted wipes are anti-static to repel dust during the cleaning process. 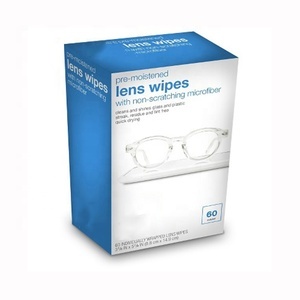 Gently wipe the lens to clean all kinds of dirt, sterilized to prevent the growth of bacteria and germs. 7 YRS Cangzhou Juyuan Sanitary Products Co., Ltd.
With 20,000 square meters factory and professional technical group,we have the ability to provide you with the product you need and guarantee finish the production on time. We don&rsquo;t just make wet wipes; we constantly studying customer needs, market trends and technological innovations,which make us maintain product leadership, global service leadership and constant innovation that has won us catch market. Certification Cooperation partner Our markets Main Markets Total Revenue (%) North America 40.00% Africa 30.00% Western Europe 10.00% Other 20.00% Business Terms Accepted Delivery Terms FOB, CFR, CIF, EXW Accepted Payment Currency USD, EUR Accepted Payment Type T/T, L/C, Western Union Port Tianjin port Trade Ability Language Spoken English, Chinese, Japanese No. Q5: How about your service9 A5: we provide prompt reply once we receive your inquiry and contact. We prepare samples prompt once we receive your express account. More than 14 years experience of production, high reputation is more important than orders. The Most Professional Baby Wipes. Wet Wipes. Adult Wipes. Baby/Adult toilet paper. 14 YRS Hangzhou Special Nonwovens Co., Ltd.
has ranked among the most professional manufacturers of industrial wipes in China. With years of efforts, Kangqi has achieved a leading position in the cleaning wipes industry, earning reputation and exerting influence among clients and markets. 2,Q:Where is your factory located9 How can I visit there9 A: Our headquarter is in Shanghai, a commercial city,and our factory lies in Jiangsu. 7 YRS Shanghai Homematch Imp. & Exp. Co., Ltd. 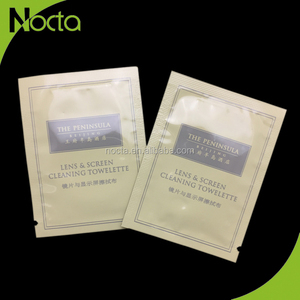 Product details: Item name: Anti-fog Glass Wet Wipes Material: wet strength paper Size: 14x14cm Weight: 35gsm Perfume: Lemon,mint,lavender, fruit,etc. We always keep on export to Middle east,Europe,America,Australia, etc. Base on the high quality and best price,we own a nice reputation both at home and abroad. 1 YRS Shaanxi Roctec Technology Co., Ltd.
Nonwoven wet wipes, wet tissues: descriptions: Item wet wipes/cleaning wet wipes/facial wet wipes Material Spunlace non-woven soft&thick(35-80gsm) Fragrance Unscented, lemon, lavender ,orange,etc Size 15*20cm,18*20cm or customized Spec Bag(w/ or w/o plastic lid)/box/tub packing 20 pcs,40 pcs,80 pcs per pack Features Skin care,soft and thick PH balcanced, contains VE and Aloe Vera Pls contact us freely for any question. 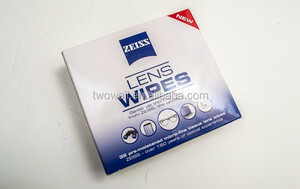 Alibaba.com offers 1,427 optical wipes products. About 25% of these are cleaning cloths, 9% are wet wipes, and 1% are other household cleaning tools & accessories. 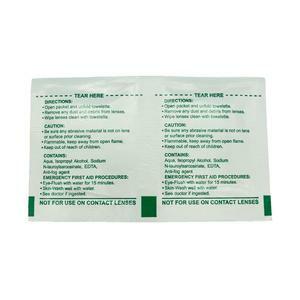 A wide variety of optical wipes options are available to you, such as non-woven, paper, and spunlace. You can also choose from no, yes. As well as from household, feminine. 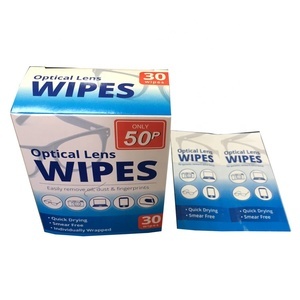 And whether optical wipes is free samples, or paid samples. There are 1,427 optical wipes suppliers, mainly located in Asia. 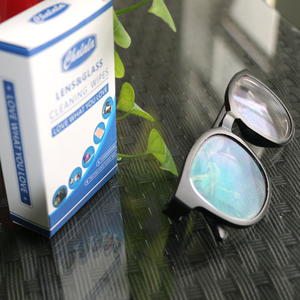 The top supplying country is China (Mainland), which supply 100% of optical wipes respectively. 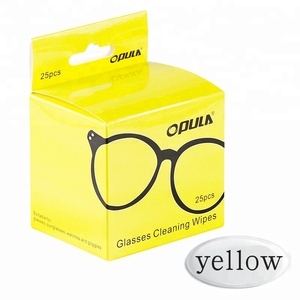 Optical wipes products are most popular in North America, Western Europe, and South America. You can ensure product safety by selecting from certified suppliers, including 432 with ISO9001, 206 with Other, and 101 with ISO14001 certification.